Washington State University is responding to the need for more electrical engineers and computer scientists. Enrollment in the School of Electrical Engineering and Computer Science (EECS) at WSU has nearly doubled in five years to 1,089 students, but our laboratories have not kept pace with the latest technologies. 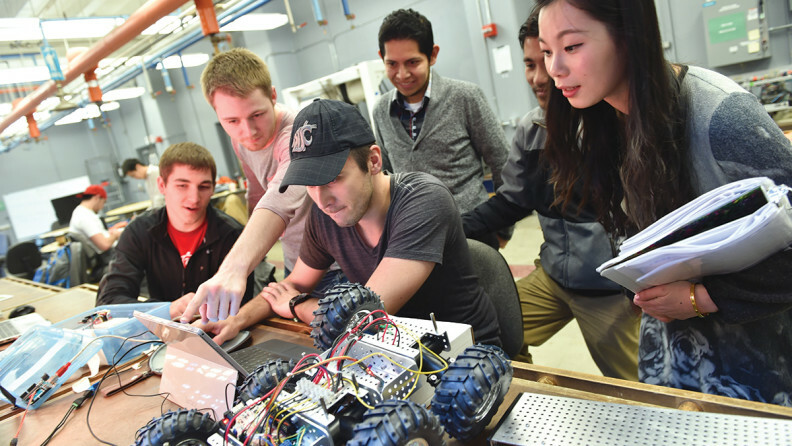 Inspire the next generation of EECS students to solve tomorrow’s complex problems and equip them for the future with updated teaching laboratories. Whether you are a WSU graduate, partner, or friend, your gift can address an urgent need for state-of-the-art teaching laboratories. Gifts can be pledged over a three year period. Any funds raised above the $1.5 million goal will create an endowment to maintain and upgrade these critical teaching laboratories. 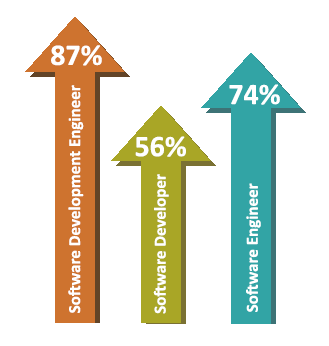 Employment growth in software engineering professions, 2012–2013. Data from the Education Advisory Board and COE Forum. Yes! I want to support undergraduate laboratory renovations in the School of Electrical Engineering and Computer Science. Please designate my gift to the EECS Undergraduate Lab Renovation Fund.